Despite living in an area of such international significance for wildlife, most people around Ruaha are very unaware of any reasons for conservation, the potential economic and ecological value of wildlife, and of the particular importance of the Ruaha landscape. 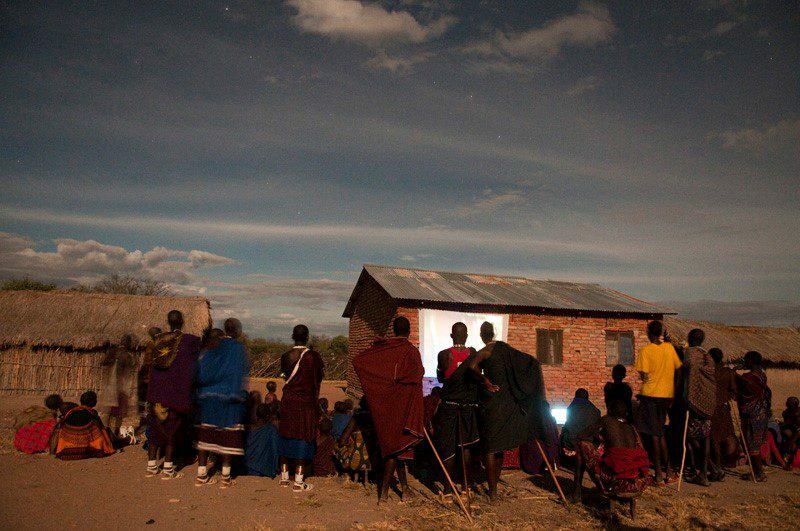 To help increase awareness, we run educational DVD nights in local villages, remote households and schools several times a month. As most remote areas do not have power, we take along a generator, laptop, projector and speaker, and set up a white sheet to project images on the side of a hut. It is not very fancy, but people are thrilled to have the opportunity to see films and learn about wildlife, so these events are extremely popular and people walk in from miles around. 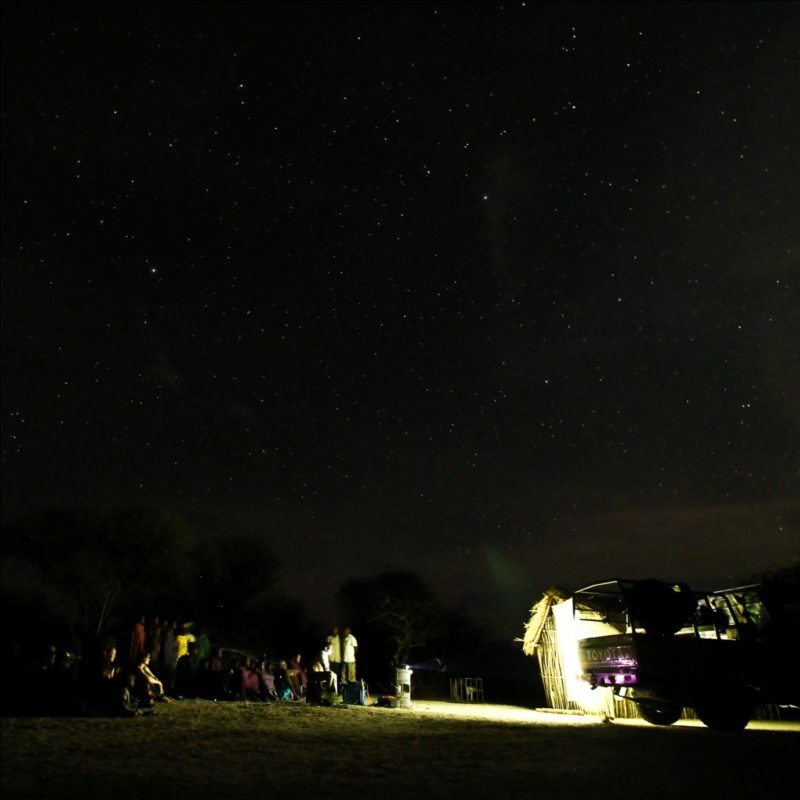 During these DVD nights, we show a Powerpoint presentation to raise awareness about what exactly the Ruaha Carnivore Project is doing, show images of local wildlife from the camera-trapping, and show a selection of wildlife films. 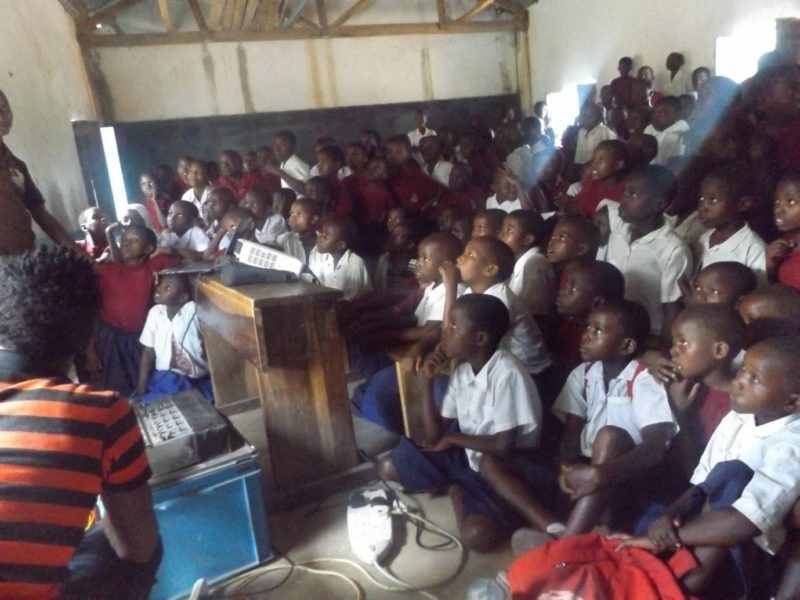 We are also collaborating with WCS Tanzania to show some of their educational films on vultures, and with Wildlife Connection to help them raise awareness as well. These films and images generate animated discussions about wildlife, what we are doing in Ruaha and why, and greatly raise awareness of conservation issues in this landscape.